Almost everyone will agree that a beautiful smile can light up a person’s entire face. A beautiful smile is inviting and welcoming, and it gives others the impression that you take care of yourself well. While some are naturally blessed with whiter teeth, most people find that they can use some help in the beautiful smile category. Not everyone can afford complex cosmetic dental procedures, but almost everyone can afford to enhance their smiles through teeth whitening. For a long time people had to compromise between the convenience of whitening at home and the effectiveness of having their teeth whitened at the dentist’s office. However, at Gold Hill Dentistry, we are proud to offer our patients both options. Our teeth whitening services are safe and can provide dramatic results to improving the appearance of your smile. We understand that people want to have professional teeth whitening results, but that many times they want to be able to find these results in the convenience of their own home. 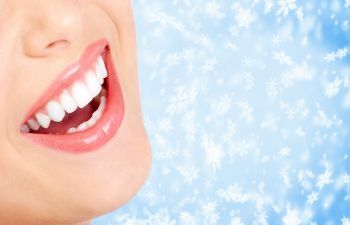 At Gold Hill Dentistry, we can provide whitening services in our office, and we also offer customized at-home kits with prescription strength whitening gel. We are committed to helping our patients find the results they desire while also protecting the health of their teeth. For our patients who maintain a bi-annual exam schedule we will continue to provide refill whitening kits so that they can maintain their whitening results for years to come. Gold Hill Dentistry is proud to serve the residents of Fort Mill, South Carolina with the most trusted dental care. Our relaxing and plush environment welcomes patients into our office from the moment they open the door. We love helping patients regain their confidence in their smiles, so please call us today and let us help you.